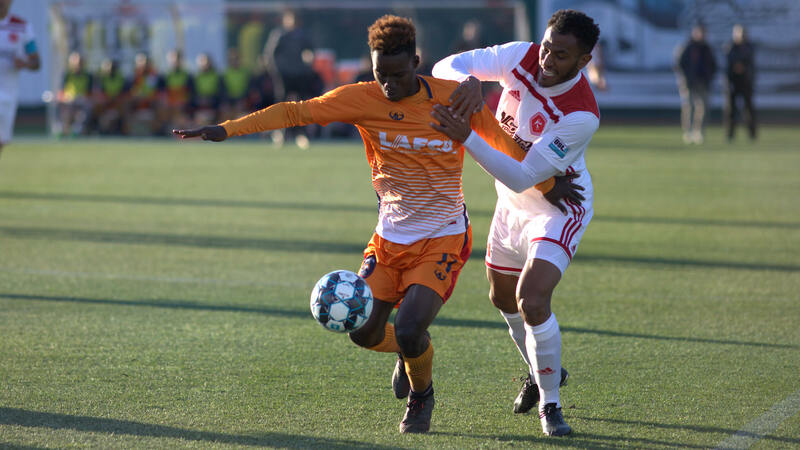 LANSING, MI – A total of 3,369 fans packed Cooley Law School Stadium to celebrate Lansing Ignite FC’s second victory of the season and their first at home. It was an intense matchup between LIFC and the Richmond Kickers, but the home team came out on top with a 3-1 victory, with goals scored by Nick Moon, Alex Bruce and Grant Stoneman. The game was scoreless heading into the half, thanks in part to LIFC’s defense and goalkeeper Michael Kirk, but it wasn’t without excitement. Midfielder Maxi Rodriguez of the Kickers received a yellow card in the 28th minute of the game after fouling a LIFC player. In the 36th minute of play, he was ejected from the match after receiving his second yellow card and a subsequent red card. The game heated up in the second half, with the first goal of the game scored by Moon in the 46th minute of play. In the 55th minute, Rhys Williams assisted Bruce, who scored the second goal for the home team. The Kickers tried to redeem themselves 12 minutes later, when forward Dennis Chin scored a goal, but Stoneman fired back, with the team’s final goal of the game in the 70th minute. With their first victory at home, LIFC moves to 2-1-0 in the season. The team will compete against the Michigan State University Spartans for the first Capital Cup, presented by Sparrow, on April 16. NICK MOON: The midfielder scored the first goal of game at Cooley Law School Stadium. He also helped out in defense, making two tackles and two clearances. ©2019 Lansing Ignite / SportsEngine. All Rights Reserved.